The project enables each service involved to track a patient’s appointments, alert another service when an appointment is made down the line with them, and feed back information to all if the patient has remained on track with their treatment plan. 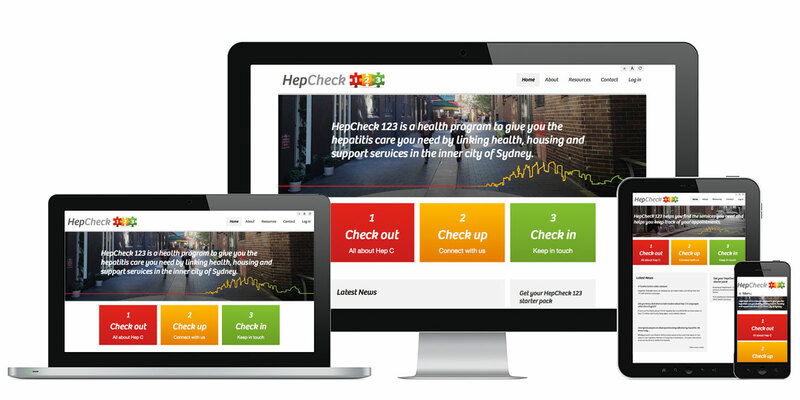 The project also contains information for service users in the public front end website, enabling them to assess whether they should get tested for HepC and making the process from testing into treatment as smooth as possible. In the background, the HepCheck team made a dozen health services in the City of Sydney area work together for the first time, enabling them to share information with the new technology and care for patients together in a streamlined pathway we helped design. We liaised with the Hepcheck team on setting up free testing stations at front end services and training health workers on using the Hepcheck system. We kicked off the project with a series of workshops with all stakeholders, arriving at the UX design after helping to achieve agreement of collaboration between the dozen services involved in the project. We planned out the detailed UX/IA, presenting it back to the team of stakeholders at various points of the process, and collaborated with the Health department’s IT team to implement a securitised system for sharing patient’s treatment information between services. 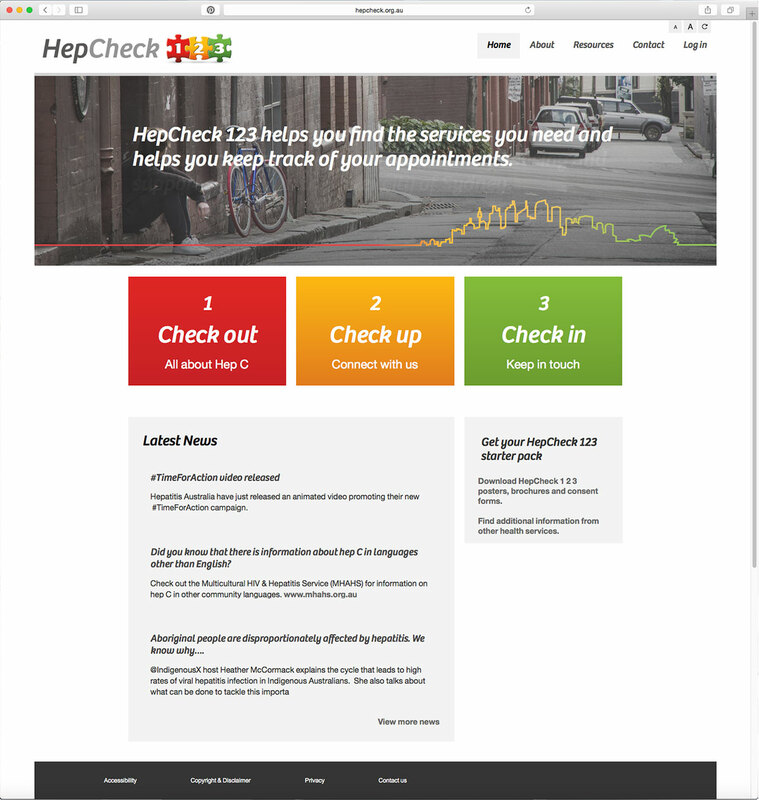 We designed a new brand for HepCheck 1 2 3, designed and built the front end website in Drupal. We then wireframed the back end website and art directed the Health Department’s developer team (an Indian supplier company).